East Gate Alliance Church is part of the Christian & Missionary Alliance. We are Christian because we believe in Jesus Christ as Savior and Lord. We are Missionary because we are committed to reaching people worldwide with the gospel. We are an Alliance of believers working together to help each other and make our world a better place to live. Over 500,000 worshipers in over 2,000 churches in the United States currently call themselves Alliance. 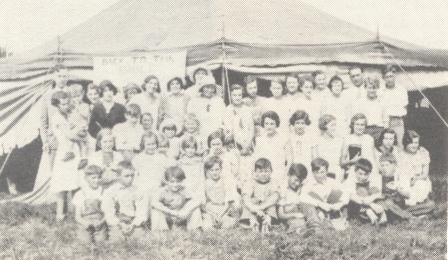 1927 The Alliance Church in Marshfield had its first roots in a two week series of evangelistic meetings held in a tent on the fairgrounds. Holland Oates was the evangelist. From these meetings, a prayer group was formed which met regularly in homes. 1932 Rev. Gibson and Rev. Burkhart, pastors of Alliance churches in Neillsville and Spokeville, came to help in the leadership of this prayer group. In June, 1932, Rev. James Ogden secured the cooperation of the group for a summer series of tent meetings. At the end of the summer, a church was formed with the Rev. Ogden as pastor. The group bought a vacant store building on South Central Avenue, now the Sport’s Den, and remodeled it for a church which was then called the Marshfield Gospel Tabernacle. 1934 This building was sold in 1934 and meetings were held in the City Hall until 1936. Tent meetings were usually conducted during the summer. 1936 The congregation bought and moved a house to 215 Depot Street and remodeled it into a church, with living quarters in the back. 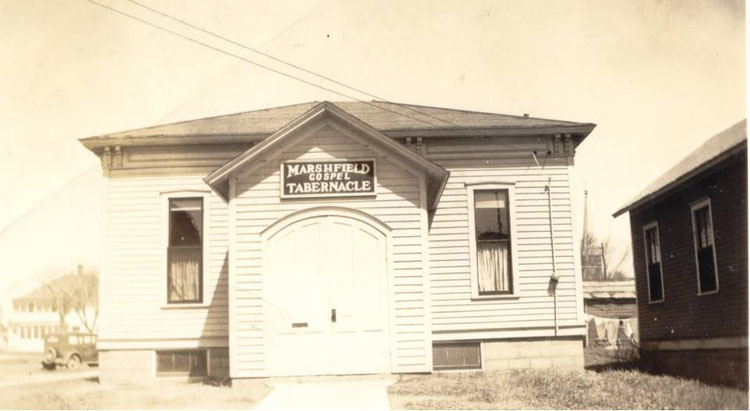 Marshfield Gospel Tabernacle, 1936 – Depot Street across from Felker Mfg. 1947 Rev. 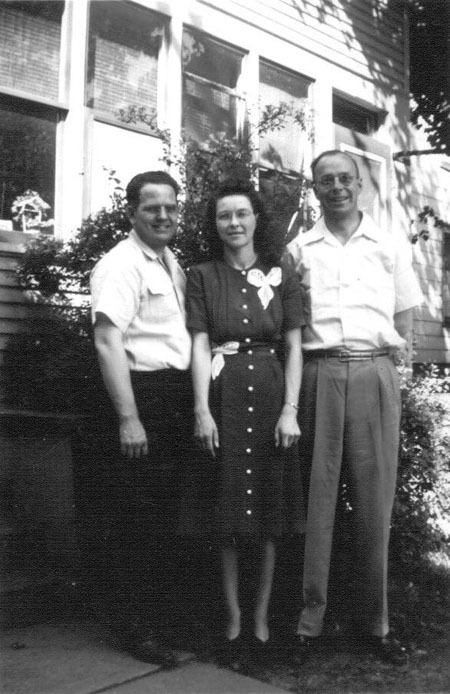 James Franklin became pastor and served until 1956. Under his leadership, the church became officially organized under the Christian and Missionary Alliance and was named the Alliance Missionary Church. 1952 The congregation purchased and moved to a building at 204 Park Street. 1971 The building located at 204 Park Street was, extensively remodeled and new church growth began to take place, growing from an average morning worship attendance of 56 at that time to an average of 201 during the next five years. For several months, the clinic annex building next door was used for Sunday School space. Then the Masonic Lodge was used, providing space for approximately half of our Sunday School classes. For a period of time, two morning worship services were held to ease some of the crowding. Meanwhile, a building committee was formed and began searching for suitable land. It was very difficult to find, but finally the Lord enabled us to purchase our present site. 1974 A groundbreaking ceremony took place September 8, 1974, and construction began in November. In April, we began holding services in the basement of our new building until June when were able to worship in our sanctuary. 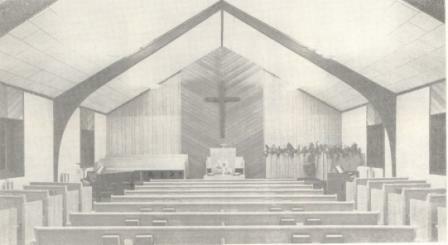 1975 The dedication of the new church building took place on October 9, 1975. 1976 A new parsonage was built on the Northwest corner of the new property. Also, in 1976 the Sunshine Day Care Center began. 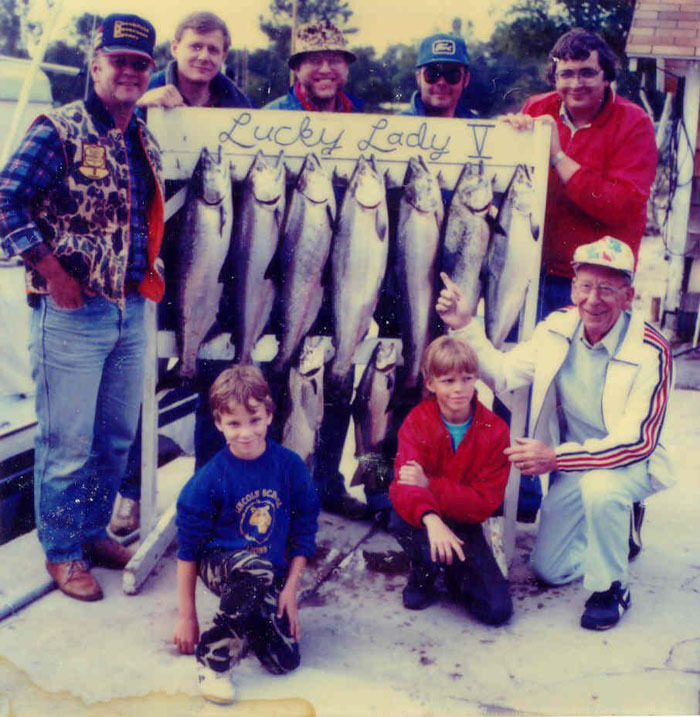 This ministry continued until August, 1981. 2001 On September 9, 2001 Pastor Mark Lafferty began leading our church. 2006 A 10,000 sq. ft. wing was added on the northwest side of the existing building. This included a multipurpose room, an elevator, nurseries, additional classrooms and offices. 2008 The church membership voted to change the name of the church to East Gate Alliance Church.